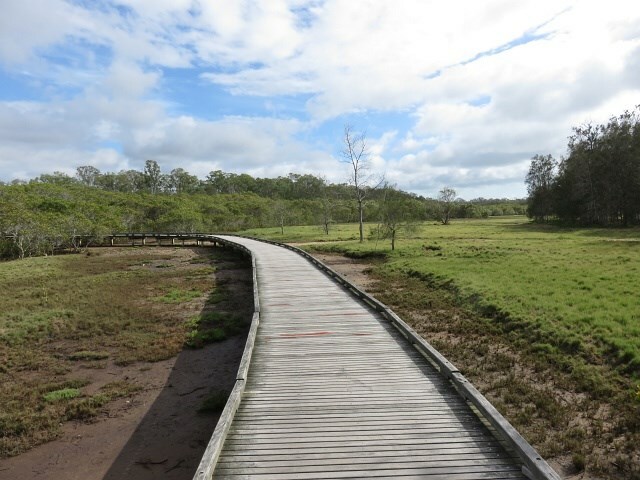 Tinchi Tamba Wetlands Reserve is over 380 hectares in size and is part of a network of coastal wetlands on the edge of Moreton Bay. 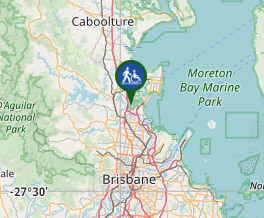 The wetlands are located 19 kilometres north of the Brisbane CBD, between Pine River and Bald Hills Creek and includes tidal flats, mangroves, salt-marshes, melaleuca wetlands, grasslands and open forest. 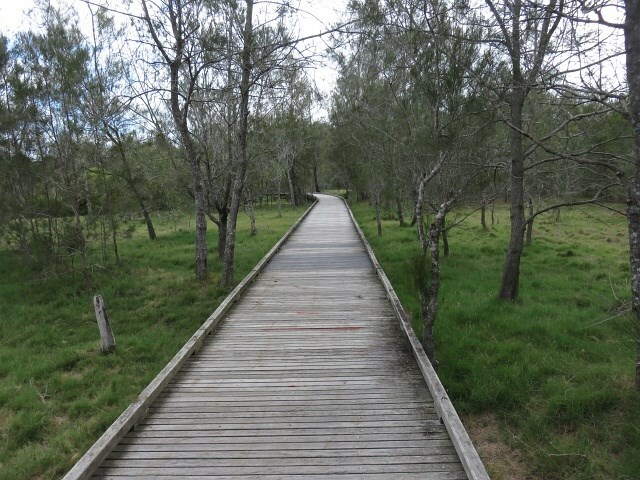 Tinchi Tamba Wetlands Reserve offers a variety of walking trails. Start at the picnic ground carpark on Wyampa Rd, BALD HILLS QLD. This page covers the Island Circuit (3km) and Bird Hide (1km) tracks. The walk is clearly signed, see attached GPS for further guidance. Nice easy walk. Mosquitoes galore! Nice pleasant walk beside the Pine River. It is a good place to do bird watching. There is a bird hide on a side track. A nice flat walk, best to combine all walks in the area. A good place for birding.